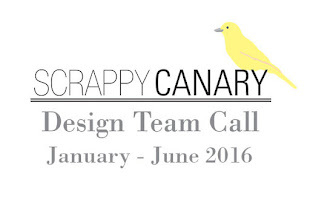 Hey Canary Friends!! I hope you're all enjoying your week. Have you managed to squeeze in any scrappy time? I've got the newest kits right here on my desk, ready to create something happy with! However, today Im sharing a quick layout I made with the previous Pocket Life kit - Jessica. I ordered this kit, just for that floral paper in the paper pad! I haven't done any Project Life since this time last year, but the good thing about the PL kit, is that you don't have to use them just for Pocket pages! The papers and cards are perfect for layering up under photos, and by following a simple layout design like I have below, you wouldn't even know that there was no pattern paper under the photo mat! I absolutely adore this photo of Leila. One of many taken by an awesome photographer a few weeks prior to Leila's 1st Birthday. Thanks for stopping by today! Be sure to check back regularly for more creative goodness from our new DT members! !